Hockey discussion, like so many weeks, dominated our household this week. And it wasn’t just the regular banter about whether the Oilers were going to make a push for a wildcard playoff spot or if Leon Draisaitl will hit the fifty goal plateau. I’ve been a hockey fan since I was five years old. As the story goes, I would watch Hockey Night in Canada before I could barely hold myself up on the couch. I really truly love the game of hockey. I have had a number of great experiences with the game of hockey, from playing, to officiating to watching my favorite teams in the WHL, NHL and Internationally. From seeing friends play in the NHL or WHL, and now from watching my son play minor hockey and development hockey. I am a passionate hockey fan. I even created this little blog as a result of my passion for the game of hockey. This was a tough week though. As a family we decided collectively that my son would forego his Spring hockey season that we are only one week into. This was a decision that we struggled with because our family is not known for quitting anything. Heck I’ve never quit anything in my life so this is uncharted territory for me. We just felt it was the right decision to make. The repercussions of our decision are yet to be determined. This is a good team, an elite team and our son was selected for this team. We just had a different set of expectations and we feel we just needed a break from hockey. There are a number of reasons for our decision but as parents this was a challenging decision. My son felt that he just didn’t want to play and although we had discussed in depth about playing Spring hockey something just didn’t feel right. In fairness, what was communicated to us about the program had changed from when we were originally sought out to play. We played in a tournament last weekend and saw and heard things that contributed to our decision. Point being is that it started to dominate our thoughts and we knew the “fun factor” was probably not going to be at the level where we wanted… or where is should be. Hockey is fun. Hockey is a game. Hockey is a game that is meant to be fun. I’ve alluded to the fact that I am a fan of the Edmonton Oilers. It was a tough week as the Oilers, for the twelfth time in thirteen years failed to qualify for post-season playoff action. Albeit with three to four players who had career years and the games most electrifying hockey player in Connor McDavid. Another frustrating hockey season for this Oilers fan. 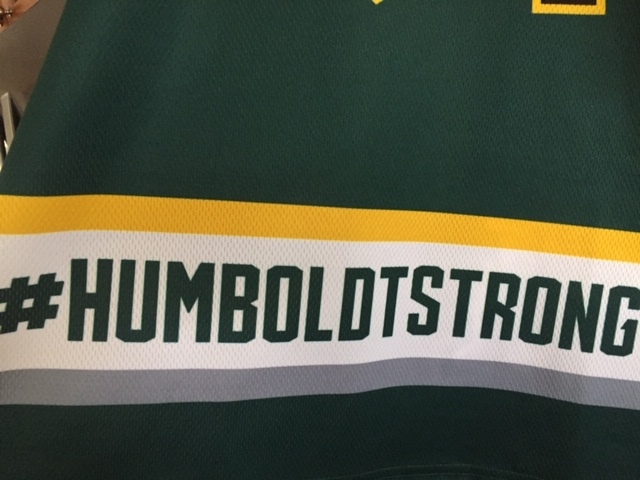 Another thought on my mind this week is the anniversary of the Humboldt Broncos tragedy. This course of events touched me and was one of those where-were-you-then moments. As I write this I am listening to an Oilers Now podcast and Tom Cochrane’s tribute version of “Big League” comes on. It just feels like it was yesterday. Today is a Friday and tomorrow April 6th is the official one year anniversary of the tragic event. The Broncos will commemorate the one year anniversary of the incident lead by the families and group of local pastors in the community to put together a “Believe” themed service. Since this incident, I’ve thought about this tragedy almost everyday. 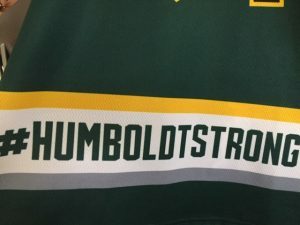 I’ve wondered about each of the families and about the surviving players and about the people in Humboldt. The outpouring of support was amazing and I truly believe that we will not forget these families anytime soon. This week with all of the hockey related items that have dominated my thoughts I’ve asked myself why does hockey mean so much to me? Why do I invest so much time into hockey? I wondered why (or if) hockey meant as much to other families as it does to ours? Why does hockey mean so much to us? So why does hockey mean so much to us? For me, I really enjoy all aspects of the game. I like the little things about the game. I liked weird quirky stats. I like the sound of the blades as they carve up the ice. I like the wind blowing through my hair as I skate. I love learning about the new technologies that are available to players. I like the creativity of the way today’s kids play hockey. I like a little bit of showboating and crazy goal cellys. I like the analytical aspect that has emerged in the game. I like coaching my son whether on the ice or in the garage. I love watching junior hockey. I love watching women’s hockey. I love fair-play and skill development. I love where the game is going with speed and skill. My favorite thing about hockey? Watching my son Elias play and seeing his amazing smile when he’s on the ice. I absolutely love watching him play hockey. My success metric for Eli is not in the number of goals, assists or wins (and there have been a lot of all of those), my success metric is in the number of smiles I see on is face when he is on the ice. Short-benching (especially in youth hockey) – I’ve touched on this previously as seen in this article from the Huffington Post. Shortening the bench of nine-year olds really doesn’t make sense and contradicts the whole sense of fair play and player development. Explain to me who short-benching in youth hockey benefits? The old boys club mentality – the times they have changed and whether at the NHL level or in minor hockey what worked in the past doesn’t mean it should be part of the future. It’s time to move into the present. There is still too many “old school” hockey people in power. However expect change as we are seeing teams that are having the most success at all levels are moving away from the olds boys club mentality. We are seeing more teams move towards and invest more in sports science, analytics, skill instructors and technologies that are making the game better. We are seeing more women in traditionally male-dominated roles. There is still a long way to go and hopefully we continue to trend in the right direction. For me “old school” is out. Head Injuries – previously as a hockey fan I was like most, loved seeing the brawls or a great fight, but more recently I’ve become more educated on the damage being done by promoting hard physical checking (specifically hard shots) and fighting. Players are bigger, stronger, faster and make no doubt about it this is a physical sport. I cannot say that I’m disappointed to see fighting decline in the NHL and other professional leagues. I get the “code” of the game and such, but let’s be honest, the game has changed. The NHL game is younger and faster than ever before. As we near the end of the 2018/19 NHL season, the league leader has had six fights. Times are changing. For the better. Fighting needs to be removed from the game of hockey plain and simple. Head shots need to be removed from the game of hockey plain and simple. So there are areas of the game that need improvement, but at the heart of it, hockey is such a tremendous sport. Hockey means so much to so many people. Why then is hockey so important? There has been a lot written about how Canada seeks a national identify through sport. I think it is safe to say that hockey is more than a game to most Canadians. We are a passionate bunch us Canadians. From frozen ponds and community rinks, to twenty thousand seat arenas Canadians love hockey. Here are a few thoughts on why hockey is so important to us. Historical Relevance – while the exact origin of hockey is unknown, modern day ice hockey is credited to the country of Canada. For most of us interested in sports, hockey has always been around. Since the late 1800’s hockey has existed in Canada. Most of us have played it at one point at some time, whether on the ice, road hockey, ball hockey or otherwise. For Canadians at least, hockey is part of our history. Not convinced? Pick up the book How Hockey Explains Canada: The Sport That Defines a Country authored by Jim Prime. The Love of the Game – is there anyone involved in the sport that does not love the game? It is a high-paced quick energy game and is the fastest game on feet. For many hockey families, our parents watched (and in some cases played) hockey and as such they introduced us to the sport at any early age. From there, even if you didn’t or couldn’t play hockey you developed a kinship with the game or a favourite team. As a youth typically your geographical relevance would dictate why you cheered for a specific team. As you grew older your loyalties might have changed but more often than not you became even more of a hockey fan and developed an unmatched appreciation for the sport. Hockey fans for better or worse are very passionate and simply love the game. The nature of team sports – the game of hockey has so much to offer. There is something to be said about being part of a sports team. Being part of a hockey team is not unlike being a part of a baseball team where players specializing in different positions work together for a common goal (to have fun or to win). There are some sports where even though they’re considered “team sports,” are sometimes monopolized by an individual athlete. You have the quarterback in football, the pitcher in baseball but in hockey you have the team (will all due respect to goaltenders). You build memories being on a team. You can always tell which teams have a strong bond on the ice. Being on a hockey team means working together and playing for each other. That sense of camaraderie, trust and friendship can last a lifetime. In good times or bad, being on a hockey team provides that sense of belonging. You learn valuable life lessons in hockey. Routines and Rituals – there are a number of routines and rituals that surround the rink. From taping your stick to singing the National anthem to specific crowd chants, whether you are a player or fan, you no doubt have some type of routine. For me, if my team is in the final championship game, I prefer to watch that game alone. For Wayne Gretzky it meant tucking in his jersey each and every game. For others it’s putting your equipment on one-side at a time. Whether it’s throwing an octopus on the ice, or being the first one on and off the ice, it’s these routines and rituals that make the game of hockey unique from both a player or a fan perspective. The connection and sense of belonging – hockey is but a game, but it is a beautiful game, full of colorful personalities and characters that we connect with. 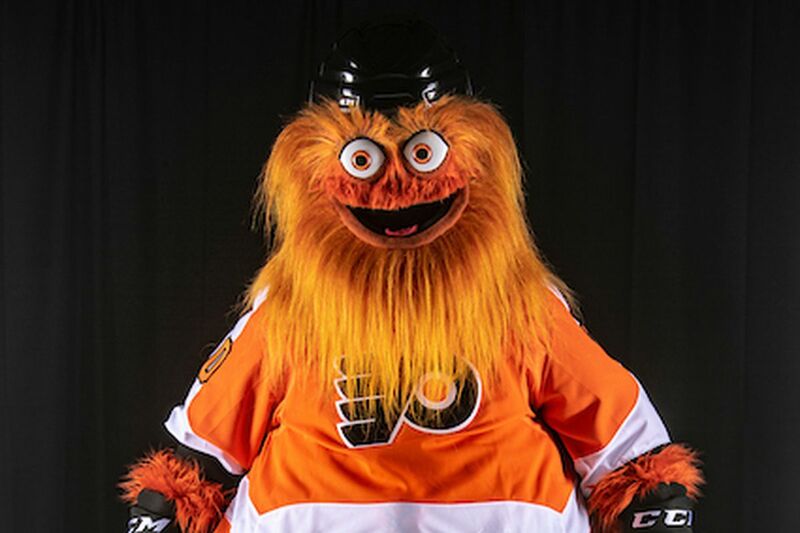 When the Philadelphia Flyers released their new mascot Gritty, people were initially wondering what the connection was? But then you just need to read the bio of Gritty to see the connection to the broad-street bullies of the seventies: “His father was a “bully,” so naturally he has some of those tendencies – talented but feisty, a fierce competitor, known for his agility given his size. He’s loyal but mischievous; the ultimate Flyers fan who loves the orange and black, but is unwelcoming to anyone who opposes his team. Legend has it he earned the name “Gritty” for possessing an attitude so similar to the team he follows.” The point being that the Flyers needed a mascot that represented their identity and their brand and that would promote a sense of intimidation. Gritty is now arguably one of the most popular mascots out there in any sport. People resonate with him and make the connection he has to the Philadelphia Flyers. Many people like hockey because they feel part of something. Part of a team, part of the team that they cheer for. How many times when you describe your favorite hockey team do you refer to the team as “We”? (Even though you are not directly a part of the team). This happens all of the time, we all do it, it’s because we feel that we are a part of that team whether you play on that team or not. Whether it’s minor hockey or at the professional level we feel a connection. Memories – hockey, perhaps not unlike other sports, has the ability to create lifelong memories. You will never forget when you scored the big goal in the big game. Paul Henderson scoring the series winning goal for team Canada. Gordie Howe playing hockey in six different decades including playing in a pro game at age 69. When the Slovakian women’s hockey team beat Bulgaria 82-0 in a pre-Olympic qualification game to become the highest scoring hockey game in history. The look on Connor McDavid’s face when Edmonton won the draft lottery. Team Finland winning the World Junior Championship in 2019. When my son and one his his buddies both scored hat-tricks on the same shift in a minor hockey game last year. Hockey provides so many memorable moments that it fuels our love and passion for the game. Memories stem from both the great moments and not-so-great moments. 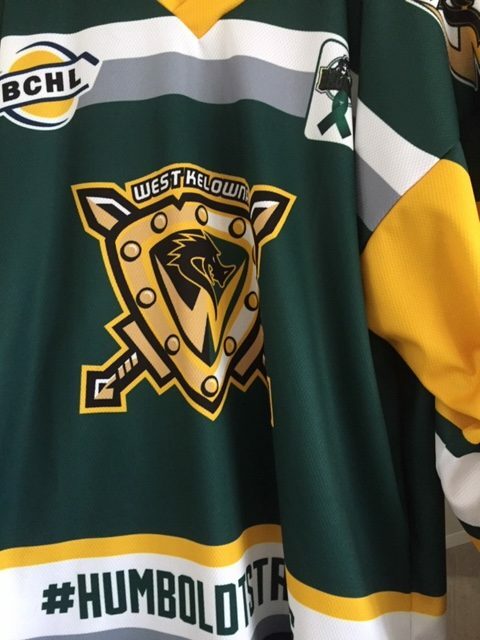 We will not forget about all of those victims of the Humboldt Broncos bus crash from 2018, and from something bad must something good emerge. Part of that good will come from Logan Boulet’s legacy which will always live on as result of the thousand’s of new organ donors that emerged. Hockey creates memories – mostly good but sometimes tragic. For that we respect the game even more. Whether it is the beautiful complexity of certain elements of the game or the delicate simplicity of chasing a rubber puck to deposit it into a mesh net behind a masked gladiator, the game of hockey is like no other. To the players, coaches and fans, the game means something. Someday we will no longer be part of the game, but we will carry it with us wherever we go because we love the game. Indeed. Video: Courtesy of YouTubeFor a variety of reasons, our family made a decision this week for our nine year old not to play Spring hockey this season. I’ve never quit anything in my life. I questioned why hockey was so important. Why is hockey so important? It teaches us that family is first. It teaches us about respect and to be thankful for what we have. It teaches us that while practice may not make perfect, there is something to be said for hard work ethic and determination and that we must always conduct ourselves with honesty and integrity. Hockey teaches us that it is always better to give more than you take. Hockey teaches us to always have hope and believe that everything is possible and to always strive for greatness in all areas of life. Sound familiar? 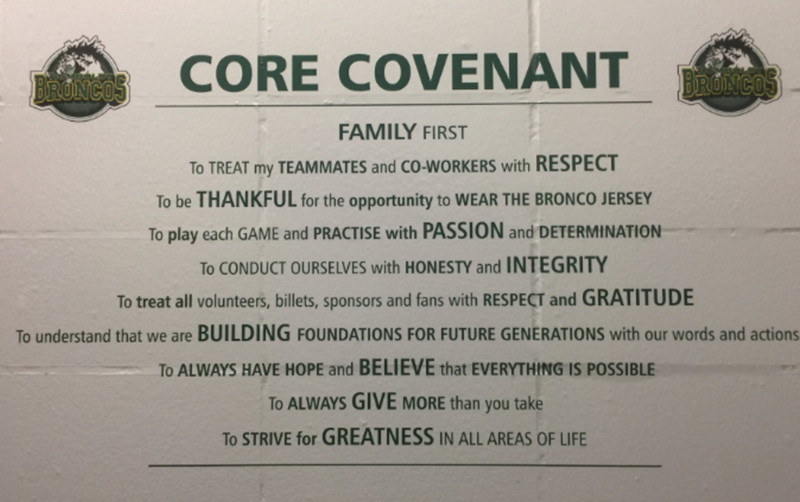 Darcy Haugan developed a Core Covenant that rings true and reminds us just why hockey is important to so many people and how it can have a profound impact on our lives. ← History of Edmonton Oilers GMs – Who will be next?